I understand that 8,000 votes were received this year, twice last year's turnout. If that trend continues, the Dragons may have a long and successful future ahead of them as the People's Choice Award of science fiction and fantasy, a broadbased popular anyone-can-vote award that will complement the Hugo Awards (the Oscars of science fiction and fantasy) and the Nebulas (the guild awards, like the DGA/ WGA/ SAG awards in film and TV). 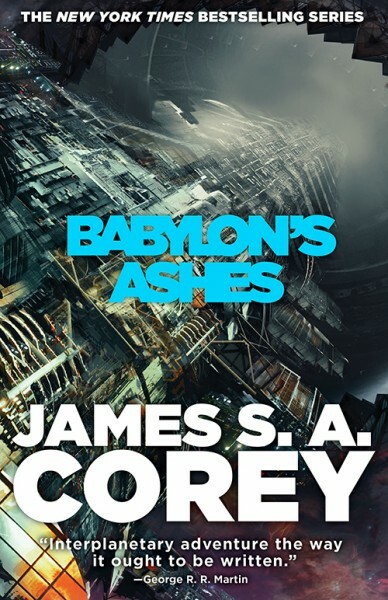 I was especially pleased to see BABYLON'S ASHES take the Dragon for the Best SF Novel of the year. A terrific piece of work, as all the EXPANSE books have been. James S.A. Corey, that two-headed monster, is doing something remarkable there, and if they stick the landing with the final books I think they will have created a classic. Congratulations also to STRANGER THINGS, which won the Dragon as the best SF/ fantasy TV show. I don't know the people who do the show, but I've certainly enjoyed and admired their work.